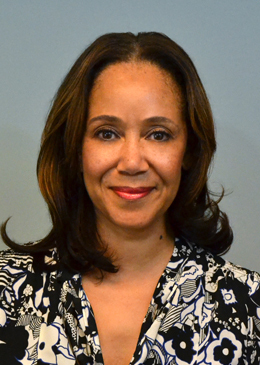 Ms. Browner White, Senior Vice President of Communications at the American Board of Internal Medicine (ABIM) and ABIM Foundation, has more than 25 years of experience in communications, public affairs, community relations and strategic development. She oversees all communications operations and activities for ABIM and the ABIM Foundation, working to expand and enhance outreach to physicians and external stakeholders, increase organizational transparency and effectively communicate the importance of board certification and medical professionalism. Before joining ABIM and the ABIM Foundation, Ms. Browner White was Senior Vice President of Corporate Communications and Strategic Development at Esperanza, Inc., the largest Hispanic faith-based nonprofit organization in the U.S. There, she developed a dynamic communications strategy to build a local and national reputation with key internal and external stakeholders and managed relationships with top-tier media and advanced strategic partnerships to secure resources to support the organization’s mission. Previously, she was Vice President, Public Affairs for Cancer Treatment Centers of America, where she engaged various audiences, including patients, physicians, media and industry leaders on important health care issues. She also held senior leadership roles with the Philadelphia Eagles and Citizens Bank of Pennsylvania. In addition, Ms. Browner White has a history of community service and is Chair Emeritus of the Board of Directors for the Marian Anderson Award and Former Chair of the Workforce Investment Board and Philadelphia Youth Council. She earned a bachelor’s degree in communications from Youngstown State University.